La vía aérea es una de las más altas prioridades en un paciente críticamente enfermo. Su alteración es considerada como una de las principales causas de muerte, y la intubación orotraqueal es una de las formas más efectivas para su manejo. Objetivo: Suministrar información actualizada acerca del manejo de la vía aérea por medio de la intubación orotraqueal en el servicio de urgencias. Materiales y métodos: Se han empleado artículos de revisión narrativa, basados en la literatura de las bases de datos Pubmed, Ebsco y Lilacs, complementada con opiniones de expertos en el manejo de la vía aérea. Resultados: Conocer la forma en que debemos manejar al paciente con inminencia de falla ventilatoria e identificar a aquellos pacientes que en un determinado momento podrán llegar a presentar problemas para una adecuada ventilación u oxigenación y así poder anticiparse a los eventos; realizar una valoración clínica rápida para reconocer las características de la vía aérea, las indicaciones de intubación y un adecuado uso de los dispositivos y medicamentos. Las benzodiacepinas son medicamentos que se usan ampliamente en el proceso de intubación orotraqueal, sin embargo, existen otros medicamentos con mejor perfil que pueden ser utilizados según las características de cada paciente. Es indispensable la asociación de un medicamento miorrelajante para facilitar las maniobras de intubación. Conclusiones: La anticipación del evento disminuye el margen de error en la práctica clínica; la inducción de secuencia rápida para intubación orotraqueal permite realizar de manera ordenada una adecuada intubación orotraqueal, minimizar los errores y disminuir las consecuencias de una vía aérea mal manejada en el servicio de urgencias. La tenencia de todos los elementos necesarios para la correcta atención de los pacientes permite disminuir los tiempos de respuesta ante las urgencias. 1. Tse JC, Rimm EB, Hussain A. Predicting difficult endotracheal intubation in surgical patients scheduled for general anesthesia: A prospective blind study. Anesth Analg. 1995;81:254–8. 2. Calder I, Pearce A. Core topics in airway management. Cambridge University Press: Inglaterra; 2005. pp. 35-42. 3. Portela Romero M, Bulgarín Gonzáles R. Intubación endotraqueal en urgencias extrahospitalarias. Guías Clínicas. 2006;6:1–4. 4. Biarge Ruiz AN, Siles Suárez L. Manejo prehospitalario de la vía aérea en el paciente politraumatizado. Emergencias. 1999;11:47–53. 5. 2005 International consensus on cardiopulmonary resuscitation (CPR) and emergency cardiovascular care (ECC) science with treatment recommendations section 2: Stroke and first aid. Circulation. 2005;109. III-109. 6. Handley AJ, Koster R, Monsieurs K, Perkins GD, Davies S, Bossaert L, et al. European Resuscitation Council guidelines for resuscitation 2005. Section 2. Adult basic life support and use of automated external defibrillators. Resuscitation. 2005;67 Suppl 1:S7–23. 8. Sen A, Nichani R. Best evidence topic report. Prehospital endotracheal intubation in adult major trauma patients with head injury. Emerg Med J. 2005;22:887–9. 9. Grmec S, Mally S. Prehospital determination of tracheal tube placement in severe head injury. Emerg Med J. 2004;21: 518–20. 10. Wilson ME, Spiegelhalter D, Robertson JA, Lesser P. Predicting difficult intubation. Br J Anaesth. 1988;61:211–6. 11. Charles Wilson W, Benumof J. Pathophysiology, evaluation, and treatment of the difficult airway. Anesthesiol Clin North America. 1998;16:29–75. 12. el-Ganzouri AR, McCarthy RJ, Tuman KJ, Tanck EN, Ivankovich AD. Preoperative airway assessment: Predictive value of a multivariate risk index. Anesth Analg. 1996;82:1197–204. 13. Benumof JL. Management of the difficult adult airway. With special emphasis on awake tracheal intubation. Anesthesiology. 1991;75:1087–110. 14. Benumof JL. Difficult laryngoscopy: Obtaining the best view. Can J Anaesth. 1994;41 5 Pt 1:361–5. 15. Savva D. Prediction of difficult tracheal intubation. Br J Anaesth. 1994;73:149–53. 16. Lewis M, Keramati S, Benumof JL, Berry CC. What is the best way to determine oropharyngeal classification and mandibular space length to predict difficult laryngoscopy? Anesthesiology. 1994;81:69–75. 17. Frerk CM, Till CB, Bradley AJ. Difficult intubation: Thyromental distance and the atlanto-occipital gap. Anaesthesia. 1996;51:738–40. 18. Frerk CM. Predicting difficult intubation. Anaesthesia. 1991;46:1005–8. 19. Verghese C. Airway management. Curr Opin Anaesthesiol. 1999;12:667–74. 20. Hazinski MF, Nadkarni VM, Hickey RW, O’Connor R, Becker LB, Zaritsky A. Major changes in the 2005 AHA Guidelines for CPR and ECC: Reaching the tipping point for change. Circulation. 2005;112 24 Suppl. IV206-11. 21. Airway ASoATFoMotD. Practice guidelines for management of the difficult airway: An updated report by the American Society of Anesthesiologists Task Force on Management of the difficult airway. Anesthesiology. 2003;98:1269–77. 22. Hong JJ, Mazuski JE, Shapiro MJ. Daily interruption of sedative infusions in critically ill patients. N Engl J Med. 2000;343:814, author reply: 5. 23. Mendoza F, Jaramillo C, Merchán A, Melgarejo I. Urgencias cardiovasculares. 4. a ed. Bogotá: Editorial Distribuna; 2006. pp. 515-536. 24. Mort TC, Waberski BH, Clive J. Extending the preoxygenation period from 4 to 8 mins in critically ill patients undergoing emergency intubation. Crit Care Med. 2009;37:68–71. 25. Webb AR, Shapiro M, Singer M, Suter P. Anticoagulants. Oxford textbook of critical care. Inglaterra: Oxford UniversityPress; 1999. 26. Lockey D, Davies G, Coats T. Survival of trauma patients who have prehospital tracheal intubation without anaesthesia or muscle relaxants: Observational study. BMJ. 2001;323:141. 27. Bernard S, Smith K, Foster S, Hogan P, Patrick I. The use of rapid sequence intubation by ambulance paramedics for patients with severe head injury. Emerg Med (Fremantle). 2002;14:406–11. 28. Davis DP, Hoyt DB, Ochs M. The benefit of rapid sequence intubation on head injury mortality: The case controlled study. 61st Annual Meeting. American Association for the Surgery of Trauma; 2002. p. 104. 29. Blaine LE, Powell JE, Brooks R. Rapid sequence intubation (RSI) for prehospital airway control-a safe and effective technique. J Trauma Injury Infect Crit Care. 1998;45:1118. 30. Taha SK, El-Khatib MF, Siddik-Sayyid SM, Abdallah FW, Dagher CM, Chehade JM, et al. Preoxygenation by 8 deep breaths in 60 seconds using the Mapleson A (Magill), the circle system, or the Mapleson D system. J Clin Anesth. 2009;21:574–8. 31. Murphy MF, Hung OR, Law JA. Tracheal intubation: Tricks of the trade. Emerg Med Clin North Am. 2008;26, 1001-14, x. 32. McKinlay J, Moss E. Pharmacology of drugs used in neuroanaesthesia. Best Pract Res Clin Anaesthesiol. 1999;13:499–510. 33. Stoelting RK. Nonbarbiturate inductions drugs. Pharmacology and physiology in anesthetic practice. 4. a ed. Philadelphia: Lippincott- Raven Plubishers; 2006. p. 140–7. 34. Karkouti K, Rose DK, Wigglesworth D, Cohen MM. Predicting difficult intubation: A multivariable analysis. Can J Anaesth. 2000;47:730–9. 35. Sagarin MJ, Barton ED, Chng YM, Walls RM, Investigators NEAR. Airway management by US and Canadian emergency medicine residents: A multicenter analysis of more than 6,000 endotracheal intubation attempts. Ann Emerg Med. 2005;46:328–36. 36. Levitan RM, Everett WW, Kinkle WC. Pressing on the neck during laryngoscopy: A comparison of cricoid pressure, backward upward rightward pressure, and external laryngeal manipulation. Acad Emerg Med. 2005;12:92. 37. Benumof JL, Cooper SD. Quantitative improvement in laryngoscopic view by optimal external laryngeal manipulation. J Clin Anesth. 1996;8:136–40. 38. Miller RD. Miller’s anesthesia. 5. a ed. Philadelphia: Elsevier; 2000. 39. Wadbrook PS. Advances in airway pharmacology. Emerging trends and evolving controversy. Emerg Med Clin North Am. 2000;18:767–88. 40. Rubin MA, Sadovnikoff N. Neuromuscular blocking agents in the emergency department. J Emerg Med. 1996;14:193–9. 41. Zhang MQ. Drug-specific cyclodextrins: The future of rapid neuromuscular block reversal. Drugs Future. 2003;28:347–54. 42. Sorgenfrei IF, Norrild K, Larsen PB, Stensballe J, Ostergaard D, Prins ME, et al. Reversal of rocuronium-induced neuromuscular block by the selective relaxant binding agent sugammadex: A dose-finding and safety study. Anesthesiology. 2006;104:667–74. 43. Shields M, Giovannelli M, Mirakhur RK, Moppett I, Adams J, Hermens Y. Org 25969 (sugammadex), a selective relaxant binding agent for antagonism of prolonged rocuronium-induced neuromuscular block. Br J Anaesth. 2006;96:36–43. 44. Suy K, Morias K, Cammu G, Hans P, van Duijnhoven WG, Heeringa M, et al. Effective reversal of moderate rocuronium- or vecuronium-induced neuromuscular block with sugammadex, a selective relaxant binding agent. Anesthesiology. 2007;106:283–8. 45. Vanacker BF, Vermeyen KM, Struys MM, Rietbergen H, Vandermeersch E, Saldien V, et al. Reversal of rocuronium-induced neuromuscular block with the novel drug sugammadex is equally effective under maintenance anesthesia with propofol or sevoflurane. Anesth Analg. 2007;104:563–8. 46. Pühringer FK, Rex C, Sielenkämper AW, Claudius C, Larsen PB, Prins ME, et al. Reversal of profound, high-dose rocuronium-induced neuromuscular blockade by sugammadex at two different time points: An international, multicenter, randomized, dose-finding, safety assessor-blinded, phase II trial. Anesthesiology. 2008;109:188–97. 47. Walls RM, Luten RC, Murphy MF. Manual of emergency airway management. Lippincott Williams & Wilkins; 2000. 48. Cárdenas González A, Fernández Ramos H, Pozo Romero JA, Correa Borrel M. Alternativas a la intubación orotraqueal ante una vía aérea difícil en nuestro medio. Rev Cuba Anestesiol Reanim. 2011;10:101–12. 49. Tobin JM, Varon AJ. Emergency management of the trauma airway. J Clin Anesth. 2013;25:605–7. 50. Pérez Perilla P, Moreno Carrillo A, Gempeler Rueda FE. Guía para la secuencia de inducción e intubación rápida en el servicio de urgencias. Univ Méd. 2013;54:175–98. 51. Sánchez VM. 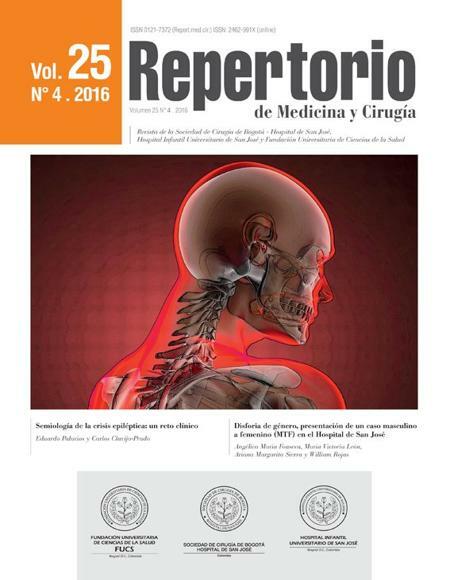 Revisión sobre sedación y relajación en la secuencia de intubación rápida de un trauma grave. Andalucía. España: Universidad Internacional de Andalucía; 2015. p. 1–14. 52. Parrilla FM, Aguilar I, Cárdenas D, López L, Cárdenas A. Secuencia de intubación rápida. Emergencias. 2012;24:397-409.